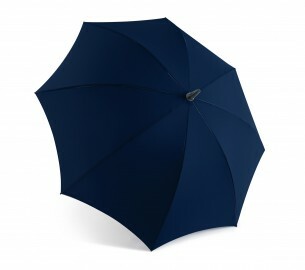 The Pro-Brella has been further upgraded and improved to offer more user benefits and colourways. The Pro-Brella FG offers lightweight and durable performance of fibreglass rib technology. 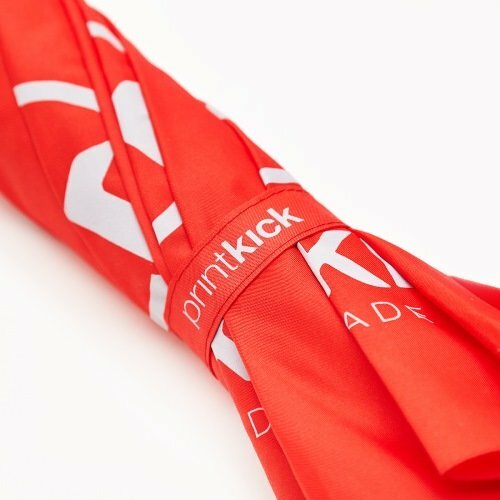 We can offer various print techniques on this umbrella from screen print, digital print and all over soft feel print. Talk to us today about your custom requirements. This umbrella is also available in larger and smaller sizes. The ProBrella Max features a 145cm canopy which is perfect for sporting events, whilst the ProBrella Mini's 105cm canopy works well in crowded city areas. Square Canopy available at 75p extra per unit. 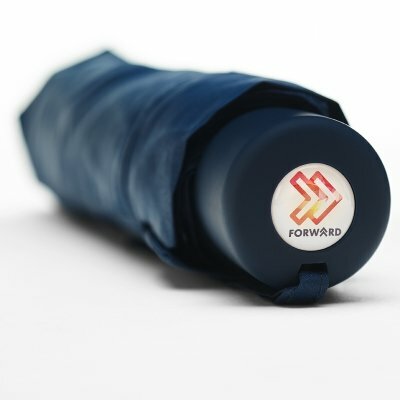 Make sure your brand is visible even when the umbrella is closed with a printed tie wrap. Decals are printed with your logo with up to a full-colour print, resin encased and then inserted into the recess within the handle of this umbrella.